Queer Eye designer extraordinaire Bobby Berk is as much of a perfectionist when it comes to his own homes as he is with his clients’. But are you really surprised? According to Variety, the Netflix star recently snagged a sun-drenched abode in the coveted Los Feliz neighborhood of Los Angeles, and dare we say that it’s more fabulous than the Fab Five? 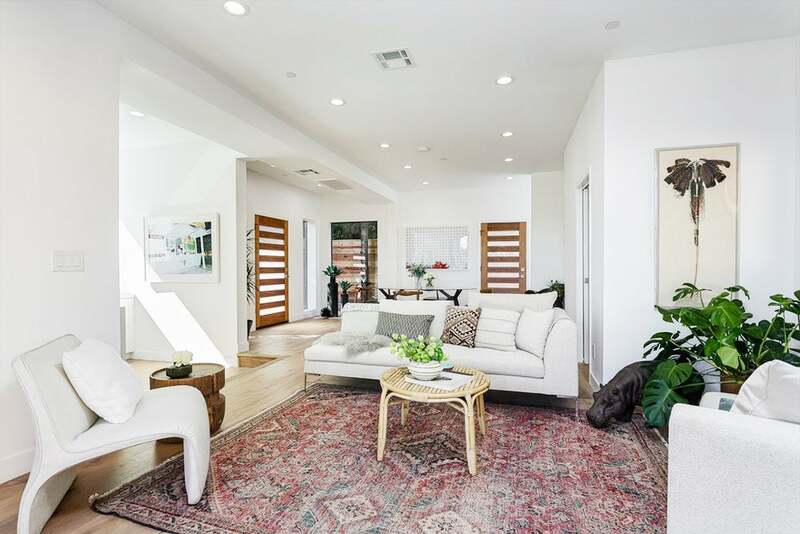 The Emmy-winning TV personality reportedly shelled out $1.4 million for the contemporary digs—a cool $200,000 over the original asking price. Perhaps, there’s a Million Dollar Listing guest appearance in the host’s future. From the outside, the two-story villa is slightly intimidating with its choppy, terraced layout and dark gray exterior, but inside, the three-bedroom villa is anything but. TBH, we can’t wait to see what he does with the place. Now we know why the A-lister went over budget: those views. Sliding glass doors frame the open-concept living space, which features blond hardwood floors and whitewashed walls throughout. The all-white kitchen boasts a generous center island with a three-person eat-in bar and a graphic black-and-white splash for a pop of intrigue. The hillside home is a maze of terraces and balconies—one of which can be found just off the dining room. On a clear afternoon, Berk can soak in uninterrupted views of the canyon and, if he’s lucky, Griffith Park Observatory from the comfort of his dining table. Each of the three bedrooms boasts floor-to-ceiling accordion doors and a private balcony. And while the master suite’s spacious walk-in closet is enough reason to stay huddled indoors, we’re assuming Berk will be spending most of his time on the rooftop terrace when he’s on a filming hiatus.